As I work towards a greater understanding of connecting churches with the children and the families that Intermountain ministers to, I occasionally come across something so brilliant or compelling I want to pass it on to as many of you as possible. Amy Simpson’s book, Troubled Minds: Mental Illness and the Church’s Mission (2013), is one such resource. There is WAY too much in this book to cover in a simple 400-word blog post, so I thought I might take a few bites at the apple each time, spreading my thoughts out over several articles. It should break our hearts that there are so many children suffering these often “hidden” illnesses, many receiving very little help, care or encouragement to improve their situation. What can a church do, or a concerned spiritual leader in a church do about the hurting children in our midst? The first step is to get educated as to what the issues really are. I would suggest getting a copy of Amy’s book. I know it exposed some of the misperceptions and misunderstandings I have battled when thinking about children’s mental health issues. A physical ailment, discovered in childhood, can often be treated and managed, and the patient learns how to enjoy life and have a productive adulthood. The same can be true for children who struggle with mental health ailments. With the proper intervention and the support of a spiritual community, these children too can find a life much more satisfying and engaged than they would be without our help. 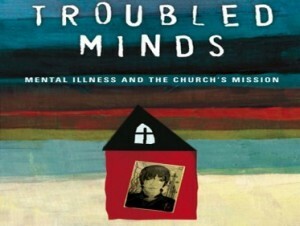 Those interested in purchasing Amy’s book can find it at https://www.ivpress.com/cgi-ivpress/book.pl/code=4304 on Amazon, or many other online book retailers!